A busy time promoting Heart of the Shires as a venue plus all the associated retailers both collectively and independently. 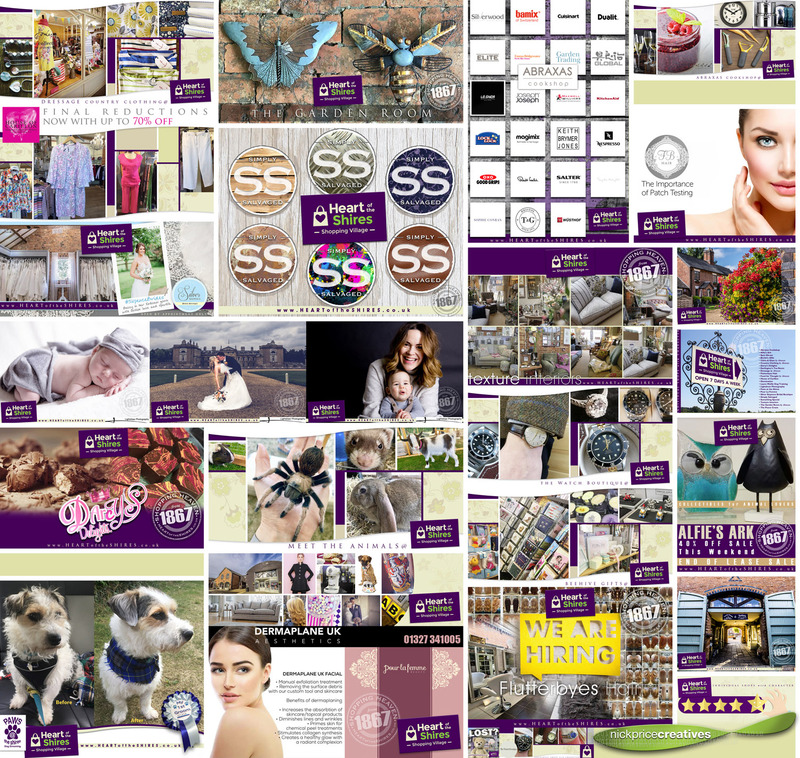 Here’s a snap-shot of some of the promotional material produced by Nick Price Creatives over the past month. It is working with some really pleasing results during these difficult retailer trading times: Heart of the Shires reporting footfall is up. Simply Salvaged reporting their best ever sale weekend (last weekend) and some great feedback for our efforts from the retailers. Heart of the Shires social media has increased with posts reaching 30k which is up 120%. The most popular individual post was for Silver Sixpence Bridal Boutique with over 7,200 people seeing the ad organically, followed by the bride photo at Lightdraw Photography with 4,400 organic views – we have promoted both through wedding channels and these figures will still increase. Heart of the Shires Page likes have increased by 136%. The Heart of the Shires website continues to develop with 408 pages which achieved 23.4k website impressions over the past 28 days. It sure keeps you busy!